MODx is a PHP driven content management system/framework (CMS/CMF) that is designed to help developers create and maintain sites without much programming. The CMF also includes an extendable applied programming interface to allow power users to extend the framework to fit individual or company needs. It does not have the steep learning curve that other CMSs on the Internet do. Many MODx CMSF users face the problem of getting the MODx parse error after performing a significant site upgrade/update or database modification. 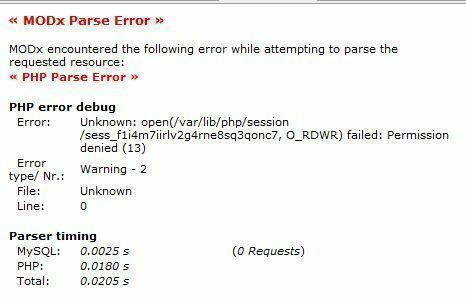 What is the MODx Parse Error? The MODx parse error is displayed when the MODx database’s user name or password is incorrect. This occurs when the web host or site administrator changes the database name, the user name for accessing the database, or the password. 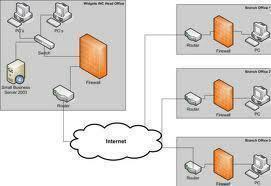 It also occurs if the database has moved to a new location or simply does not exist. When a web host undergoes an upgrade, he/she may add another name to the original database name, which may result in the MODx parse error being displyed. What does the MODx Parse Error Look Like? Step 1 – Log into phpAdmin and verify the database login credentials. Step 4 – Enter the website’s URL in the computer’s web browser and the MODx parse error will be corrected. 143 queries in 0.439 seconds.